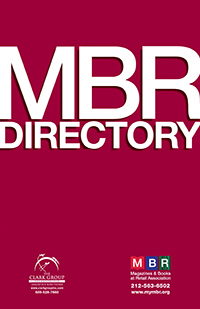 Note to Readers: MBR Daily will be off on Friday 4.19 for the holiday, back on Monday 4.22. Yesterday afternoon, Meredith Corp. announced that former Time Inc. brand Money is no longer up for sale, and will cease publication in print. Adweek: 'We are going to invest in the digital money.com brand site itself as well as leverage the Money content across our portfolio,' a Meredith spokesperson said in an email. The magazine’s June/July print issue will be its last. The decision came after execs reevaluated what the brand would be worth as a digital-only property versus selling it, the spokesperson said. Total unique visitors to money.com have wavered over the last two years, according to comScore, and peaked at 11.5M visitors in February 2018. Last month, the most recent data available, the site attracted 5.2M visitors. The magazine was put up for sale not long after Meredith completed its massive acquisition of Time Inc. at the beginning of 2018, when executives decided to secure new owners for a handful of brands they inherited and prioritize other lifestyle titles in the portfolio. Meredith executives had previously said they hoped all sales of the former Time Inc. brands would be finalized by the end of summer last year; they later revised their timeframe to the end of last year... Sports Illustrated, which Meredith is still selling, was rumored to be eyed by a group of athletes, but no sale has been confirmed. The Meredith spokesperson said the company was still working with interested parties on selling the brand. He didn’t give an updated timeline on when it might be completed"... NY Post: "Meredith acquired Money in a $2.8B acquisition of Time Inc. in January 2018. It put the mag on the block a few months later along with Time, Fortune, Sports Illustrated and MySpace parent Viant Technology, with an eye toward raising $500M to pare down some of its debt. The $500M goal now appears to be imperiled, as three out of the five assets have failed to sell, including Money... Meredith had been hoping to get $200 million for SI and $10 million for Money, but nobody stepped up to buy it at that price, sources said. MySpace parent Viant Technology, which Meredith also picked up in the Time deal, is also still on the block." HuffPost: "Time magazine's list of the 100 most influential people of the year includes more women than ever before. “We have 48 women on the list this year, up from 45 last year,” Time Magazine’s editor-in-chief and CEO Edward Felsenthal told “CBS This Morning” on Wednesday. Felsenthal said that when the magazine first began publishing the list back in 2004, only 24 women were included. He added that the magazine’s list of 100 most influential people “is in some ways a reflection of our society, but an amazing year for the women on the list.” The issue, published Wednesday, includes [six separate covers, featuring] actress Sandra Oh, House Speaker Nancy Pelosi, pop star Taylor Swift, CBS’s own Gayle King [and actor Dwayne 'The Rock' Johnson and soccer star Mohamed Salah]... Other women on this year’s list include former first lady Michelle Obama (whose profile was written by Beyoncé), Dr. Christine Blasey Ford (written by Kamala Harris), and Rep. Alexandria Ocasio-Cortez (D-N.Y.) (written by Elizabeth Warren). WNIP: "FIPP, in collaboration with UPM Communication Papers, recently released a whitepaper, The Future of Media. It looks into the value print adds, and how it fits into the wider publishing ecosystem. The whitepaper states that “despite the emergence of digital channels, print continues to thrive.” It explores strategies of publishers around the world who continue to put print at the heart of their offerings. According to the whitepaper, rumors of the death of print media have been vastly exaggerated. It mentions that 58% of subscribers still describe themselves as primarily print-oriented, and 60-80% of publisher revenues are still generated from print. MPA’s Magazine Media Factbook 2018-2019 states that in the U.S., “The top 25 print magazines reach more adults and teens than the top 25 prime time shows. And, despite generational differences, magazine consumption is strong.” The New York Times reports that its own base of print subscribers is holding fairly steady. There’s only been slight declines year over year, despite its digital subscriber base growing by 265,000 in the 4th quarter of 2018 alone, according to FIPP’s 2019 Global Digital Subscription Snapshot. The Times remains committed to serving its print subscribers. The whitepaper suggests that print’s resilience is being driven by its ability to fit in with and alongside a universe that combines all platforms. Successful magazines have reinvented themselves as brands that serve their audience via a range of channels, of which print is just one. This started with the same content being made available in print, online and later on, mobile. Troy Young, President of Hearst Magazines, says, “Print is heavily edited and curated and it’s like an event that happens once a month.” He adds, “Print plays a really important role in saying this is important and this has a place in culture, and take a moment to think and read about this and consume it. And I think our magazines are going to play an important role in how we do that for a long, long time.” The BBC History magazine has a print circulation of 100,000 and has been in business since 2000. According to its staff writer Ellie Cawthorne, “The ideal scenario is not print or digital, but a print and digital mix, all of which are adding to the experience for the consumer.” She adds, “We start with an idea and what comes out of it is a relevant feature for print, an online video or podcast, and debate through social channels. That’s offering a full experience for all – and it demonstrates the value of a true print and digital mix.” Bauer, the publisher of newsstand titles such as TV Choice, Take a break, Bella and That’s life, is renowned for its print-title heritage. 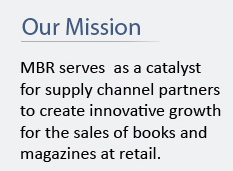 Rob Munro-Hall, Group Managing Director at Bauer Media says, “We’re quite unusual in that a large part of our business is still powered by big, weekly publications – often still with a low cover price, high volume and a reliance on the newsstand.“That’s still a big chunk of our business. If you take TV Choice, for example, we are still selling millions of copies a week, through the newsstand, in a very traditional way.” However, Bauer has been at the forefront of expanding its magazine brands into new areas. Munro-Hall adds, “With many of our bigger products, like Take a Break, there are other revenue streams outside of the print magazine that are really complementary. “I call that our 360 model, where we have a print brand in the middle of it with lots of satellite and brand extension products that sit all around it and do lots of different things.” He shares the example of the Bauer title Motorcycle News, which sells 60,000 copies a week as a newspaper. It also has a website that gets 2M unique users per month.The newspaper is complemented by a magazine, MCN sport, an online store and an insurance product, which according to Munro-Hall is, “a significant business in its own right.” The publisher also organizes four motorcycle shows under the Motorcycle News brand. According to the whitepaper, the appeal of magazines--combined with the demand for digital and social, and expansion of print brands into events and partnerships – has seen a new reliance upon reverse publishing. In this, “publishers flip their traditional approach of taking magazine content and later making it available online, to one whereby digital content is published online first and later repurposed in print form.” While reverse publishing has been around for some time, the complexity of multi-channel strategies and the need to ‘compete for eyes’ is lifting its prevalence. In fact, some digital-first brands including Facebook, Allrecipes and Net-a-Porter, have launched new print offerings for specific audiences. Facebook’s Grow was made available in business class lounges at Heathrow and a few more exclusive spots in and around London in June 2018. Figures have not been shared and the company states that “a printed version is sent to a handful of Facebook clients.” While this may not matter in actual business terms, the launch was significant coming from the social media giant. Net-a-Porter launched its print title, Porter in 2014 after the publisher was informed through polling that there was an appetite for the “tactility, the look and feel of print.” The whitepaper states that within two years, the bimonthly magazine was available in 220 cities across 60 countries. Currently, it has a circulation of 180,000. Allrecipes by Meredith is one of the biggest global reverse-model successes. It was a digital brand acquired from the Reader’s Digest. Currently, the bimonthly title has 7.7M readers. Incidentally, other well known digital brands like Netflix and Buzzfeed are also experimenting with print products. Hearst circulates over 5M magazines a month and reaches more than 20 million people per month through its websites. According to James Wildman, President & CEO, Hearst Magazines UK, “In the latest round of ABCs, we had nine brands record period-on-period growth and four brands record year-on-year growth. “The fact that several of our magazines are increasing their readership in print highlights the extraordinary quality and continuing appeal of our print products.'" Forbes contributor Dirk Smillie writes in part: "Si Newhouse, the late chairman of Conde Nast, always said his company was in the business of “class, not mass.”Today it’s in the business of both: a legacy publisher of magazines like Vanity Fair, Vogue and the New Yorker, but also a growing force across digital media, operating in 30 markets on six continents, with 45 active film projects, three series on Netflix and drawing an annual 14B views across video platforms. This is where Roger Lynch comes in, the man Conde Nast named its first global chief executive. Lynch is from the digital world, not publishing. He’s about to take over the company’s newly merged domestic and international business, which should make it easier to catapult Conde Nast’s storied legacy brands across new video, social media and B2B ventures"... Reflecting its positioning across global markets, Conde Nast has been working on a major white paper on brand safety and content quality for its clients. Authored by CNX, its newly formed in-house ad agency, the white paper grew out of a recent meeting CNX head John Deschner had with Conde Nast Artistic Director Anna Wintour... Vogue’s international editions have been around for decades. So has its branded vertical content. What’s different now is execution. Vogue Business, launched in January, is a B2B title splicing the company’s editorial DNA between fashion and commerce. It will be based on subscriptions, not advertising. Vogue Business is the first product from the incubator within the development team at London-based Conde Nast International (CNI), soon to be merged with its domestic counterpart... Back in the U.S., Conde Nast’s three chief business officers have been guiding new product launches with a sharper focus on engagement. Eric Gillin, who oversees the Lifestyle division (Architectural Digest, Bon Appetit, Conde Nast Traveler), recalled an editorial package Conde Nast Traveler published for women travelers on International Women’s Day. A member of Gillin’s social media team spotted women readers posting about the content on Facebook. The team created a Facebook page, Women Who Travel,to capture some of the conversation and engage with like-minded travelers. It’s now one of the largest private groups on Facebook (134,000 women-only members).The page has been a catalyst for travel meetups with editors and Conde Nast Traveler-hosted trips to Columbia (at $3,000 a seat) and a standalone content vertical. Women Who Travel hosted a live podcast and meetup at this year’s SXSW. Plans are in the works to add destinations like Mexico and Cuba and an advertiser-sponsored trip to Bermuda... Print still translates: Next month, just before Ramadan, Wired Middle East will launch first by web site and social media (as tech readers would expect). Published in English and Arabic, the new title’s coverage zone will stretch from large Gulf states like Saudi Arabia to much smaller circulation areas like the city of Dubai. “It’s not a market defined by borders, but by culture,” says Markus Grindel, director of CNI’s global brand licensing. This follows four new international editions of Vogue -- Hong Kong, Greece, Poland and the Czech Republic.Does all this brand alchemy leave print in the dust? Not exactly. “The demand for print is still huge,” says Grindel. Roger Lynch may be surprised to discover that every one of Grindel’s new international launches, including Wired Middle East, will have a print edition." Will Americans' Love of Paper Coupons Ever Die? RetailWire republishes MarketingCharts: "Despite a slight rise in the preference for paperless discounts, more adults still prefer paper coupons, according to the latest annual survey of coupon use from Valassis.Fully half of adults in the U.S. prefer to get coupons in the mail, a figure that has continued to rise over the past three years. The proportion of respondents who prefer to get coupons from a coupon book found in a newspaper continues to rise as well, from 42% last year to 44% this year. Some 42% agree that they prefer to get paperless discounts from the internet that they can download onto their store shopper/loyalty card. And even though a smartphone offers the convenience of carrying coupons anywhere, just 38% say they prefer paperless discounts on their smartphone/mobile device. Consumers’ preference for paper coupons is reflected in their high usage of them: fully 91% claim to use some form of paper coupons, compared to 93% last year. This shows that the use of paper coupons is still deeply ingrained as an American consumer habit. By comparison, the use of paperless coupons has remained steady at 75% for the second year. Paperless coupon use is particularly high among Millennials (96%) and parents (92%). Parents are also the biggest users of paper coupons, with 95% of parents and 96% of millennial parents using coupons received in the mail, newspaper, at the store or printed from their computer.Data last year from Kantar Media showed that even as the number of paper coupons circulated had dropped by 12% and digital promotion offers significantly grew, the number of digital coupons available is just a small fraction of the overall total. Kantar Media’s analysis found manufacturers distributed about 34 times more print than digital coupons in the first half of 2018."